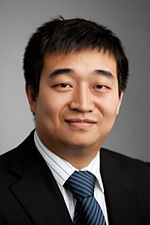 Mr Lu is a business development professional who has undertaken significant projects for international companies, including Siemens China and Peugeot Citroen, in both China and Australia. With a background in project management, commercial finance, mergers and acquisitions, he played a key role in the acquisition by China Railway Resources Group Co Ltd of 53.2% of Shares of RMA Energy Limited. Mr Lu has a BSc in International Economy & Trade from Wuhan University and Technology in China, a BSc in Finance & Accounting from Hogeschool Van Utrecht in The Netherlands and an MSc in International Business from South Bank University in London.